COWICHAN VALLEY, BC – Last night, the Cowichan Valley School District Board of Education officially created the position of District Elder / Knowledge Keeper, a first in the province, and are proud to announce Hwul’hwulenuhwtnaat’ (Dolly Sylvester) as the first holder of that position. The District Elder / Knowledge Keeper is a position of honour within the District and will play a pivotal role in continuing to shape the District’s relationships with Nations throughout the valley, as well as being a conduit for Elders throughout the community. The position will continue to bring Indigenous perspectives and knowledge to the school community and will assist with ceremonial and cultural events. 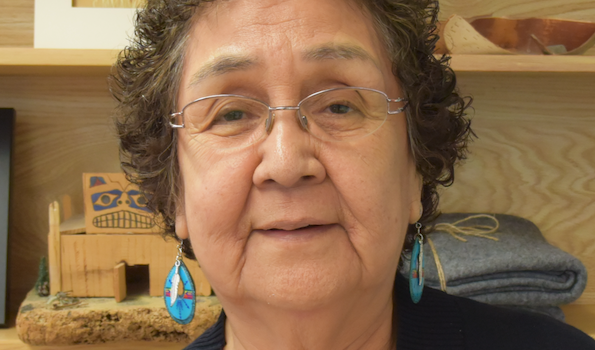 Hwul’hwulenuhwtnaat’ has been an important member of the school community, and the community at large for years, and is a highly respected Elder, educator, mentor, and friend to many.